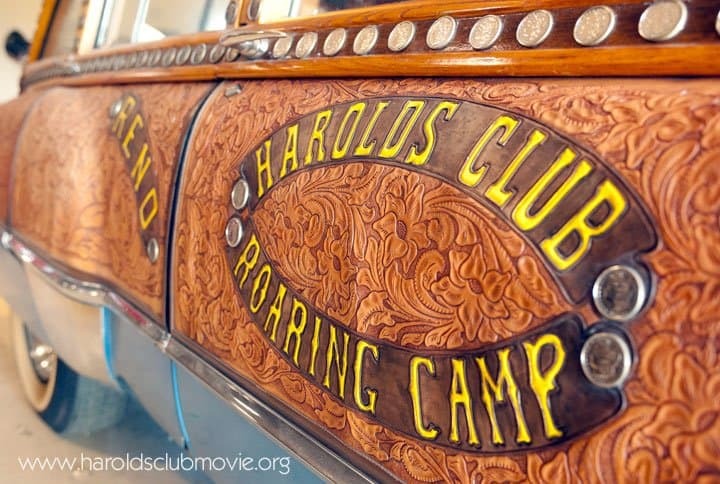 Photographer / Filmmaker Steve Ellison conceived of the idea to visually document the story of Harold's Club in early 2012. 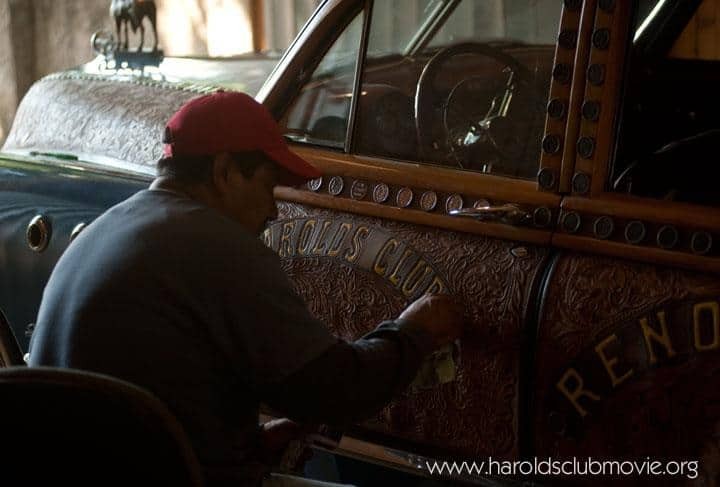 Photographer / Filmmaker Steve Ellison conceived of the idea to visually document the story of Harold’s Club in early 2012. 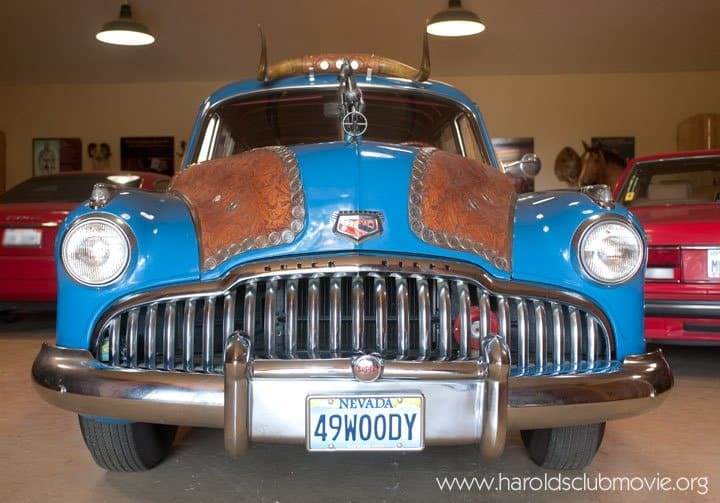 Part of the project was to track down the Harold’s Club ’49 Buick. 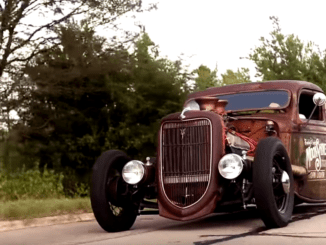 With a tip from Roadkill Customs, Steve located the car in perfect condition. 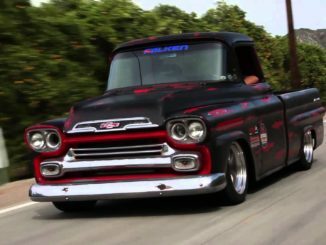 It was in the collection of the Martin Estate Winery in Napa Valley, California. Newspaper article from 1949. The wire services picked this up and it was printed in what seems like most every newspaper in the country – they definitely got their money’s worth in publicity. 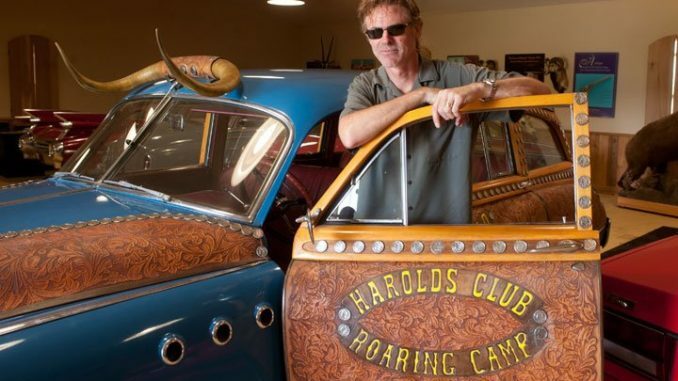 Steve visited with the famous Harold’s Club car recently. He traveled to Napa Valley where the folks at Martin Estate were more than accommodating. This beautiful vehicle is in showroom condition. “For someone telling a story like we are, being able to spend quality time with something this historic is like finding the ark of the covenant” says Steve. 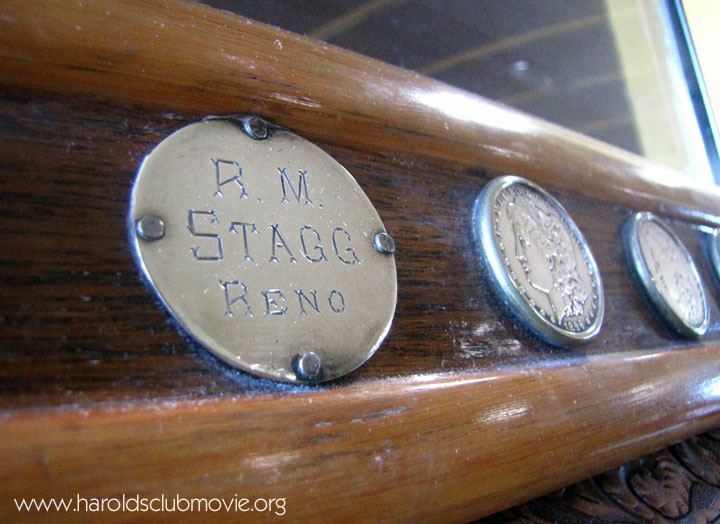 Harold’s Club in Reno was the first themed casino in the world. For a while, it was also the largest. 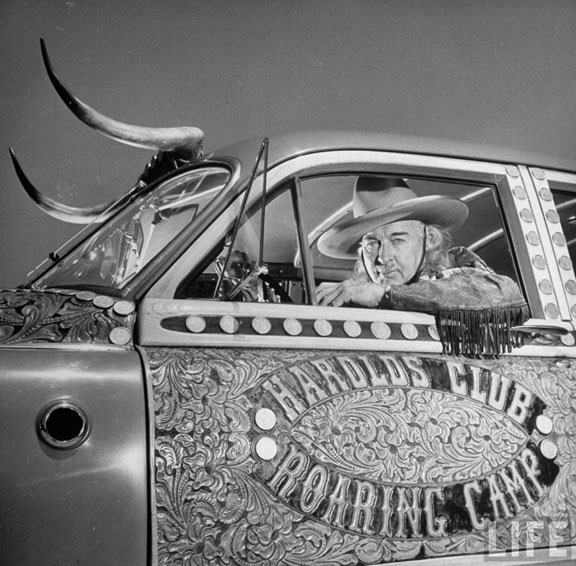 Harold Smith, the son who ran the gaming side, gave the place a Wild Western theme. 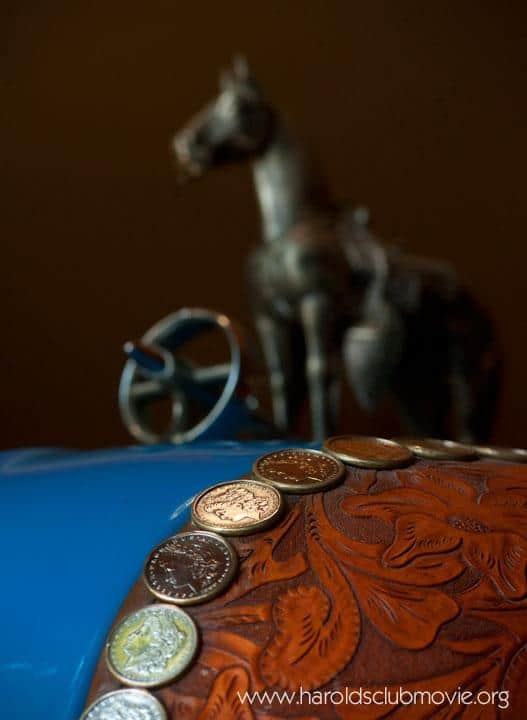 It had everything from the billboards to the wagon-woven carpet to the Silver Dollar Bar, which had a bourbon waterfall and over 2,000 silver dollars embedded in the curving countertop. 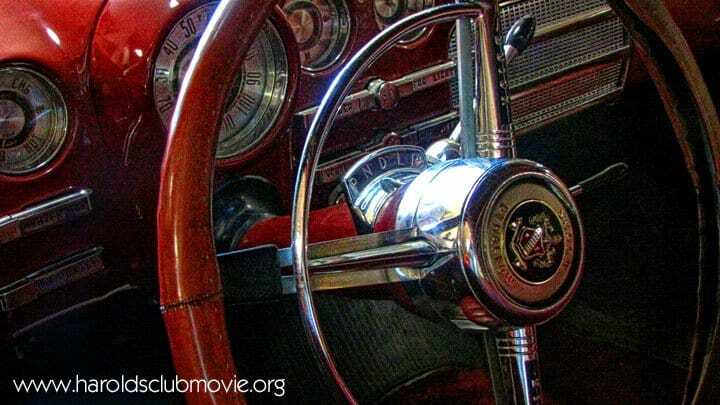 Then for the 1949 expansion, to celebrate the opening of the Roaring Camp Room, Smith created the The Reno Harold’s Club 1949 “Silver Dollar” Buick Super Eight Woody Wagon. 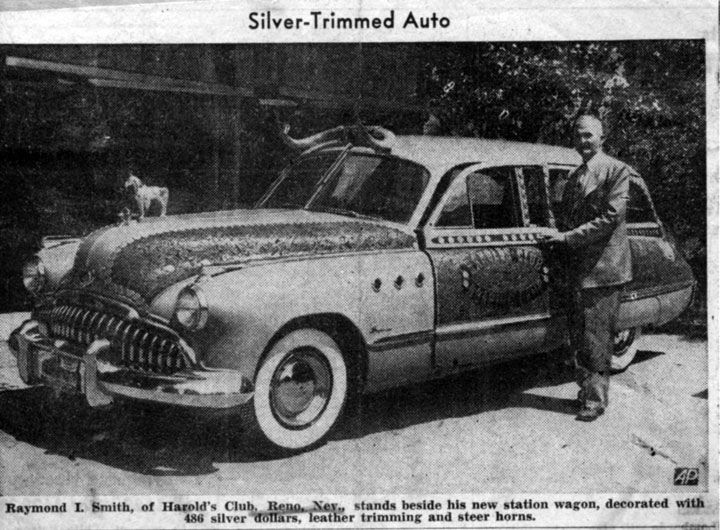 This vehicle was commissioned by the Smith family and driven around the country to promote Harold’s Club. 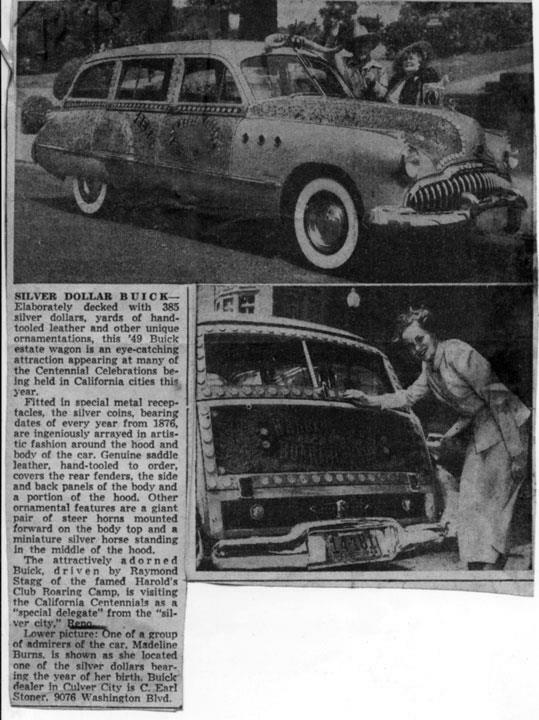 Harold covered the top-of-the-line Buick with silver dollars, 430 of them, to be exact. 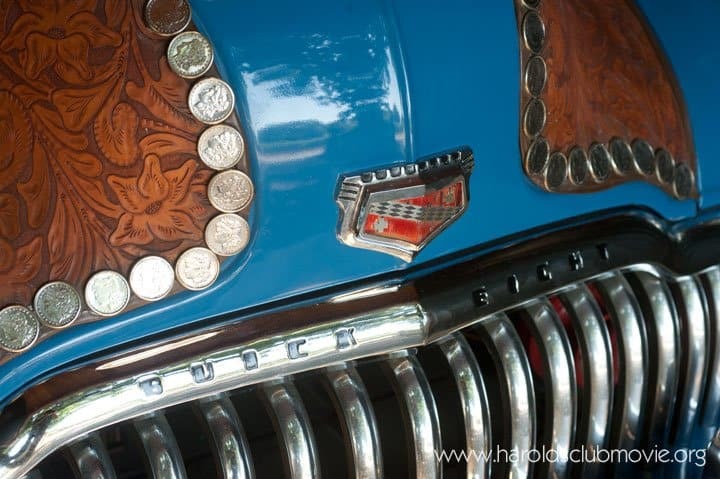 Except for the odd parade or promotional appearance, the car enjoyed pride of place at the entrance to Harold’s Club for years. 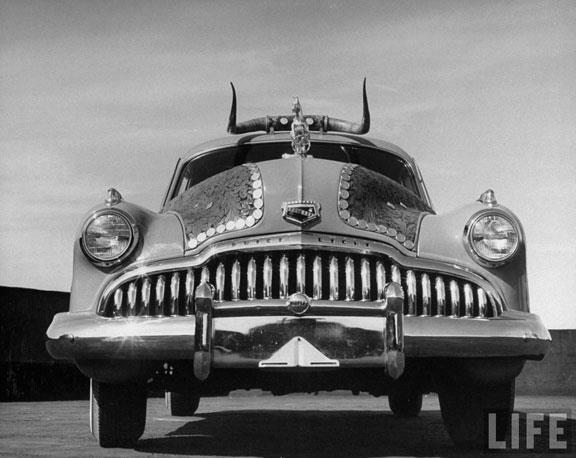 Sometime in 1949, Life photographer Michael Rougier shot a whole series of pictures of Smith and his brand new Buick. 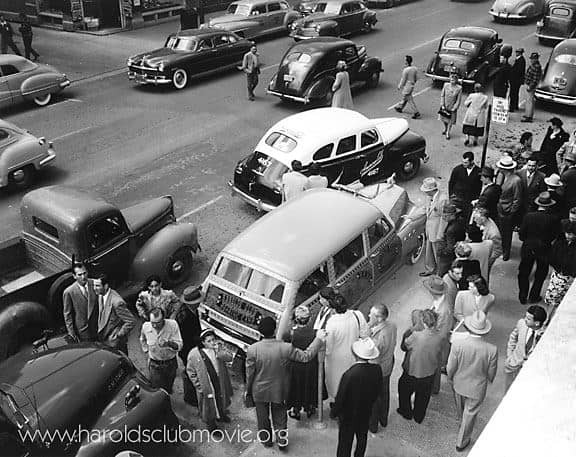 Crowds gather to check out the Harold’s Club Buick sometime in the 1950’s. We think we can make out “California” on several license plates, telling us this was somewhere like the bay area during a promotional visit. The hood of another Harold’s trucks is visible in the lower left. 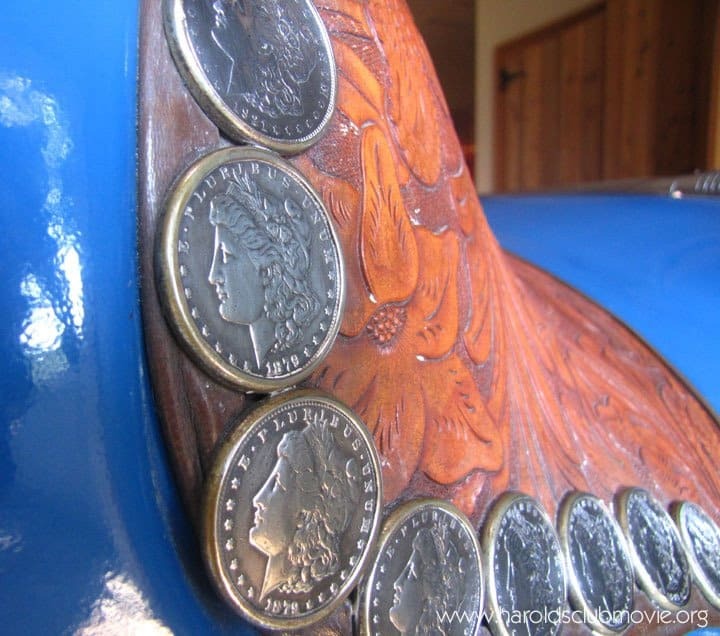 Tooled leather accented with 430 silver dollars. Employees de-tarnish and shine every silver dollar. 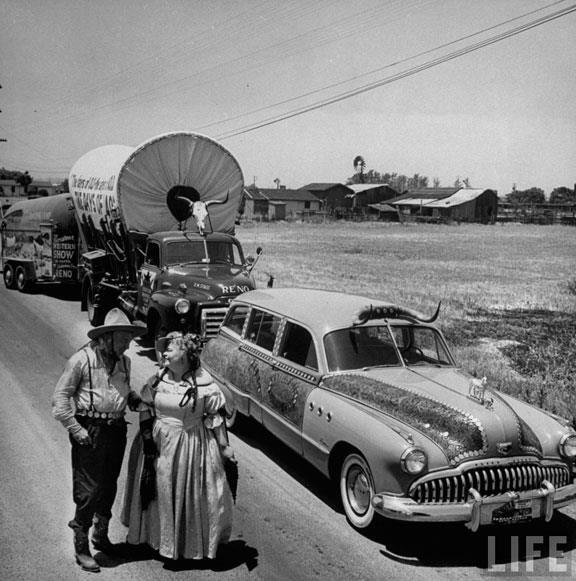 The horse was missing when Mr. Martin purchased the vehicle – he was able to track it down to the desk of an executive with Howard Hughes’ Summa Corporation.